OMG! 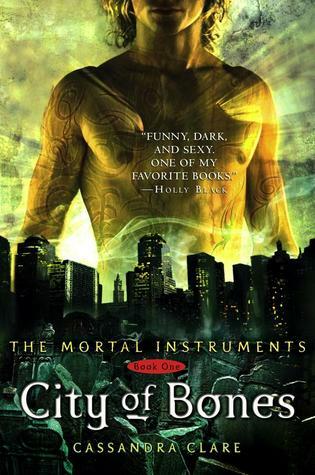 I was thrilled when I first learn the Mortal Instruments would be made into a movie so many months ago and even though I dislike the actor they choose to play Jace I'm extremely excited about the movie. The official trailer is not out and it’s giving me goose bumps! It looks amazing! Here, see for yourself! The movie releases in August so there is still time for you to read the book first! The first trailer made me worried it would be cheesy beyond cheesy, though as a fan I was excited. My sister who has never heard of the series laughed along with her husband. They said as an outsider looking in the first trailer was horrible. I can see where they were coming from. The new trailer is better though. I'm still excited, I just don't know how outsiders will react to it.